Being part of the TransAm community means having someone you can rely on. 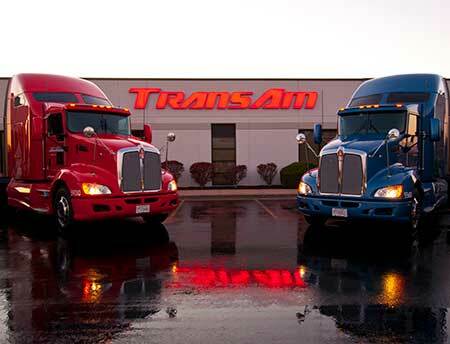 It doesn’t matter if you’ve met once or a hundred times, when you haul for TransAm Trucking either as an employed company driver or as an independent contractor/owner-operator, others recognize you as part of the team. Last month, Christian Bustillos went out of his way to help another driver. Junior Pierrette is an independent contractor with TransAm Trucking. He was just starting the first week of his new business when the two drivers met at a washout dock in Nebraska. Junior, backing up to the washout dock, needed some assistance. After assessing the situation, without hesitating or even being asked, Christian pulled his truck to the side and got out to help assist Junior with the maneuver. Through their teamwork, the drivers were able to successfully back the trailer to the washout dock. Christian’s actions left a huge impression on the Wash Bay Manager. She sent us an email bright and early the next morning informing us of what happened. To Christian, she said, “hats off [and] thank you for helping”. She was very awestruck by Christian’s selflessness and willingness to help a fellow driver. Her email was full of praise and thanks for his actions. Christian went above and beyond for another driver. This is a core definition of what it means to be a noble driver. It’s drivers like Christian that make trucking a noble profession.